without having to be there; that is a great service to many that could not travel the distance but still wanted to be there in spirit.” – Cheryl M.
Even for the best laid plans, life can get in the way. For your special event, there can be a multitude of reasons someone you really want to attend cannot be there in person. Elderly relatives no longer fly, your favorite cousin is having a baby any day, or your nephew is graduating that weekend. When occasions are planned quickly, such as memorials, previous commitments sometimes can't be cancelled. 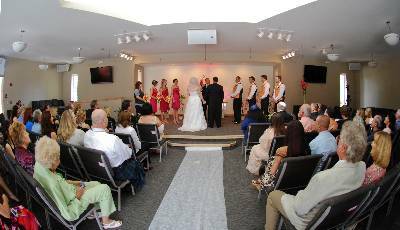 Live streaming is an excellent option for sharing the joy of your wedding or baptism, connecting with those who want to honor a loved one who has transitioned, or presenting important presentations to clients or employees in other locations,. Share your experience - as it happens - with our live streaming service, available in the sanctuary at affordable rates. The sanctuary features state-of-the-art high-definition video and sound equipment. 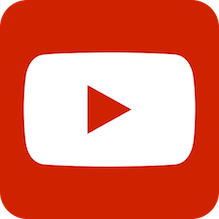 The streaming service is supplied by YouTube. Live streaming requires the use of one of our technical operators. You may use one of our videographers or hire your own (we can supply the technical requirements).